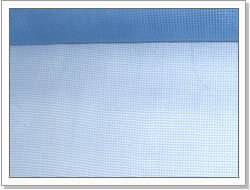 The mesh is woven with high-grade fiberglass monofilament coated with PVC resin. 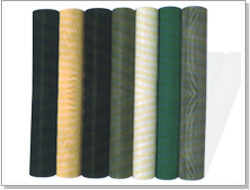 The processes involve many steps like thread spinning, coating, weaving, formation, examination, etc. It is weather bearing, anti-aging, flame resisting, static electricity free, transparent, silk fleeing free, distort free and ultraviolet ray resisting. The mesh is chiefly used in the home for insect preventing purpose, but you can also find it creatively used in pastures, orchards and gardens. Even it has found its way into such fields as transportation, industry, health care, civil service, and construction. 1. Net eye numbers：18×16 mesh 18×14 mesh 16×16 mesh 16×14 mesh and so on. 3. We may customize special specifications, colors and eye numbers according to the user's request. 4. Main Color:Black, White, Green, Yellow, Grey, Light Grey, etc.